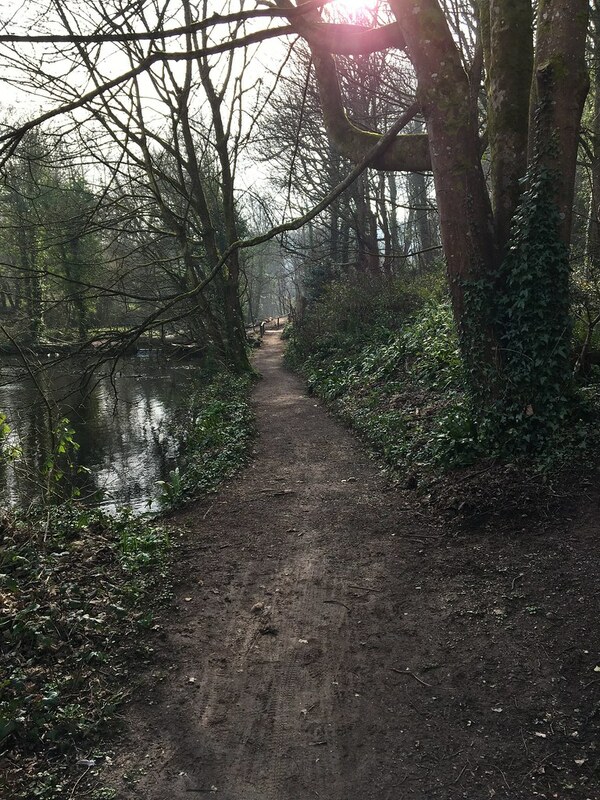 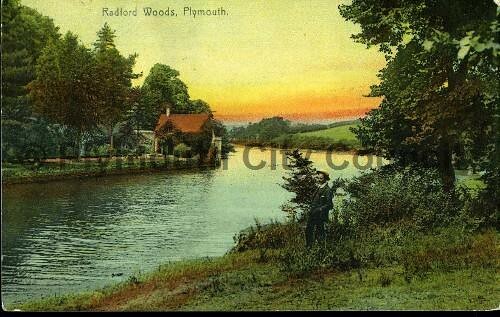 Just 10 minutes walk from my home is Radford Lake, a picturesque body of water set amongst woodland and parkland. 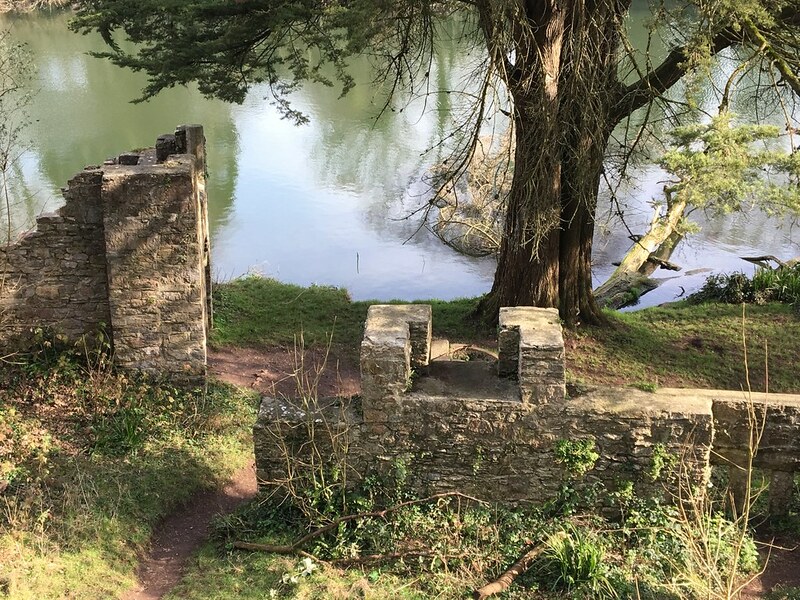 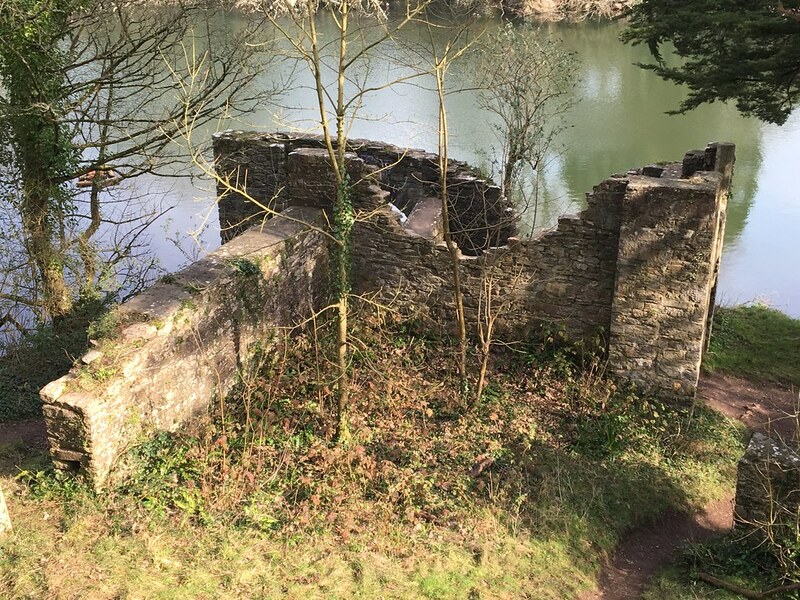 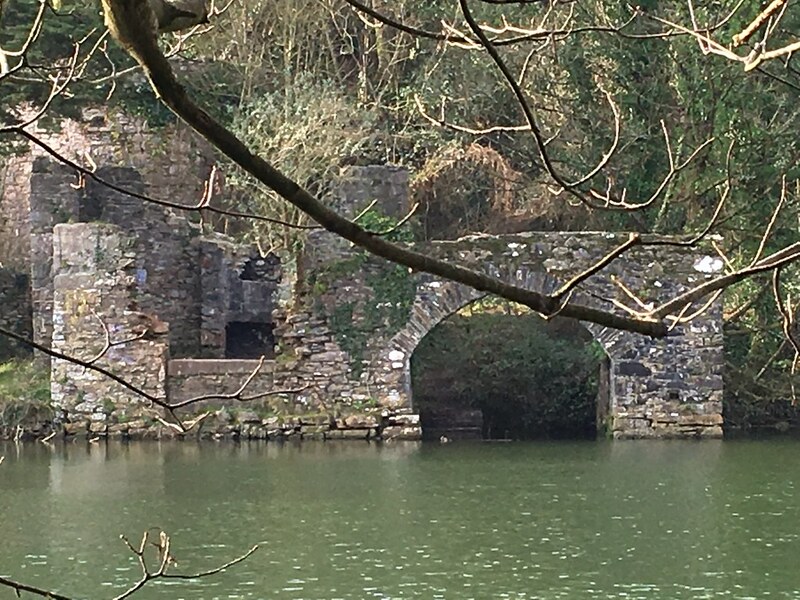 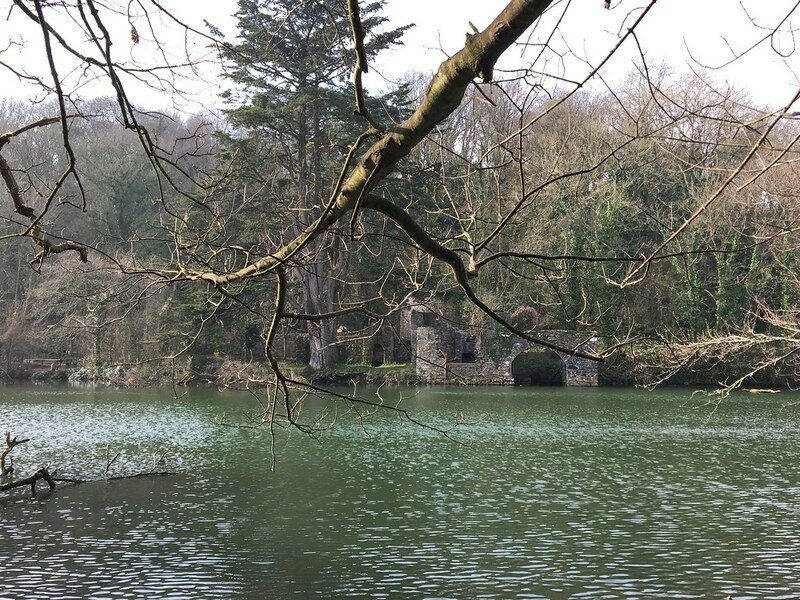 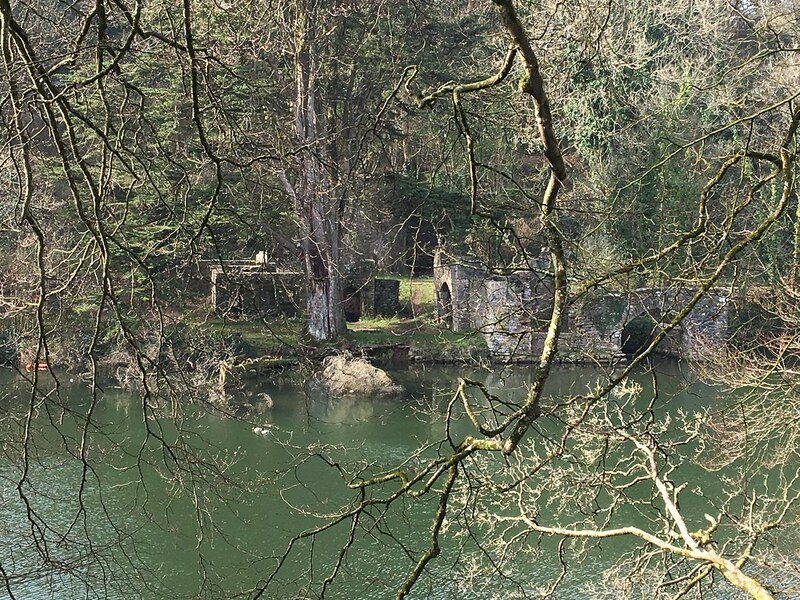 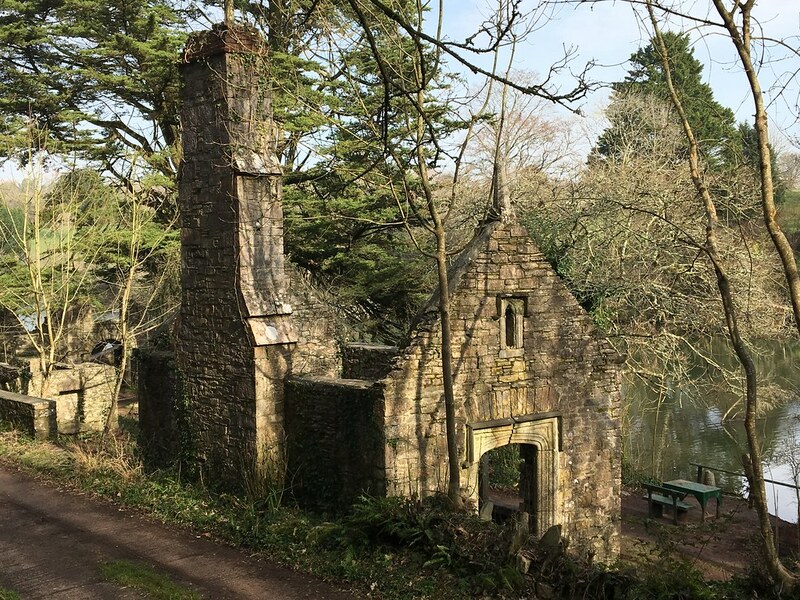 At one end of the lake, hidden amongst the trees stands the ruin of an old boathouse. 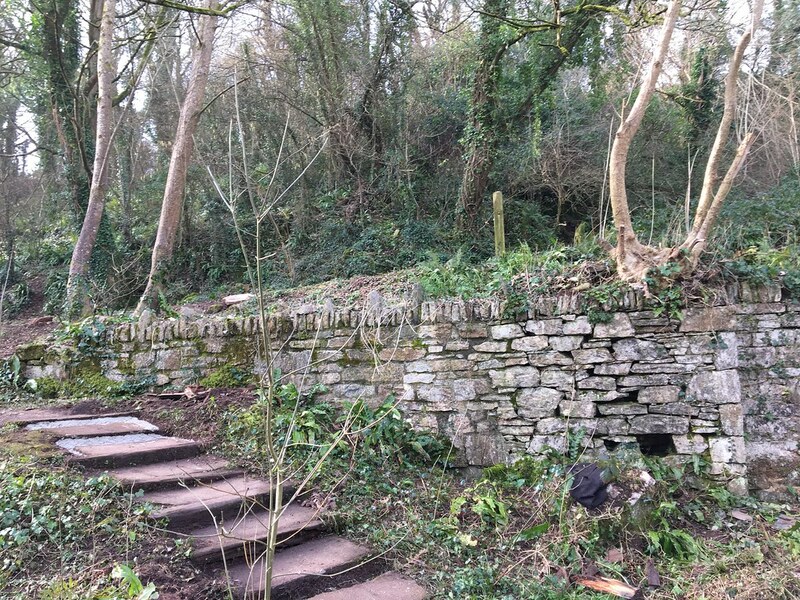 This site lends itself well to my proposed final year project at Plymouth University because it is easily accessible, can be photographed from (almost) 360 degrees, and there are some archive images available from which it should be possible to digitally recreate the structure and its surrounding environment. 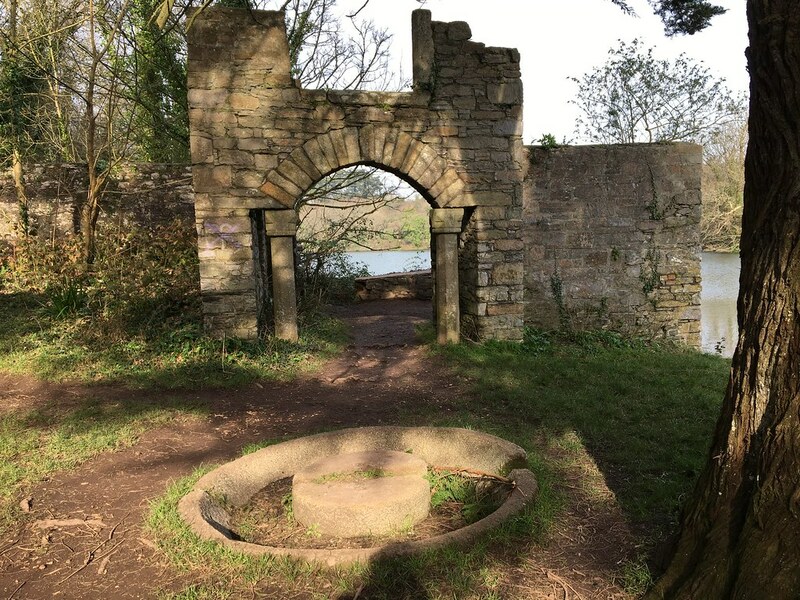 In this spot the ruins of two buildings standing both dating circa. 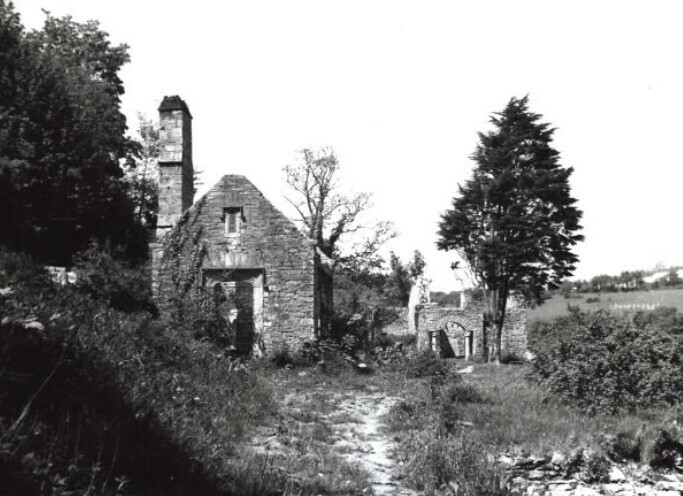 1850. 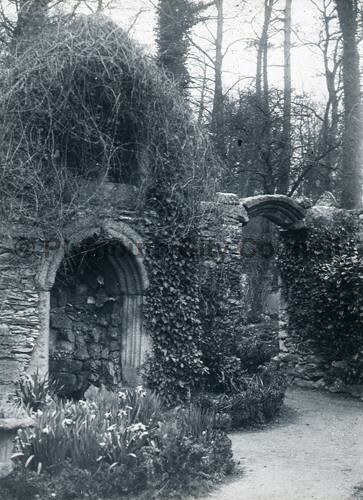 They were occupied by estate staff prior to their deterioration. 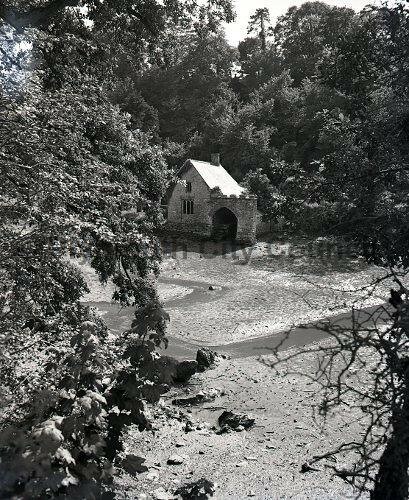 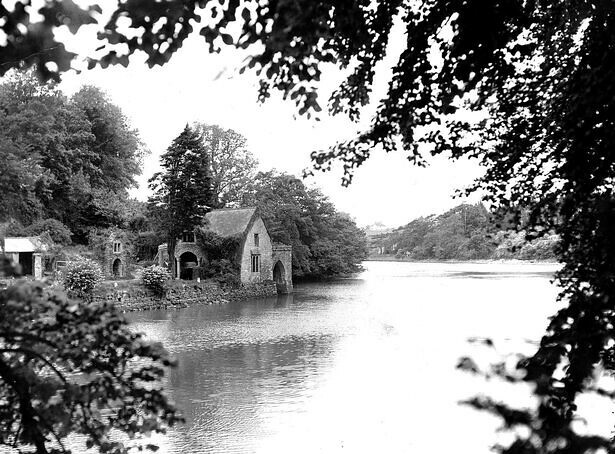 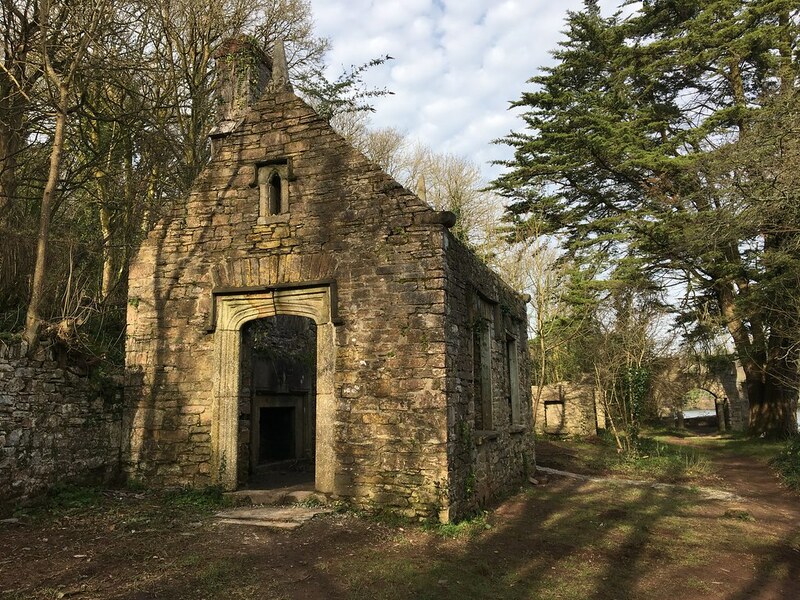 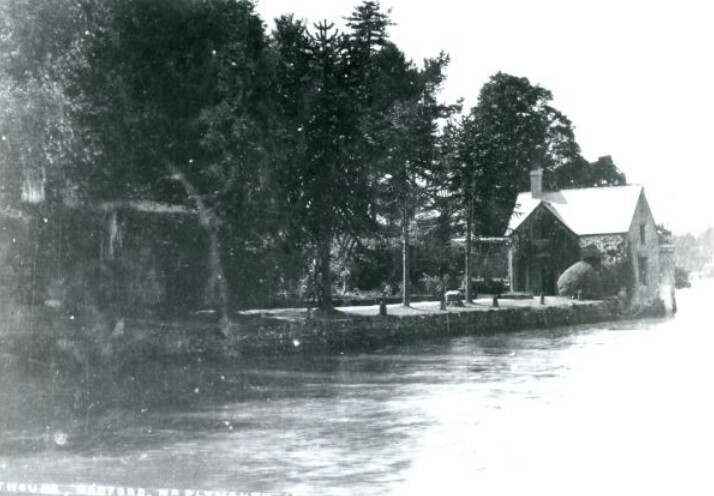 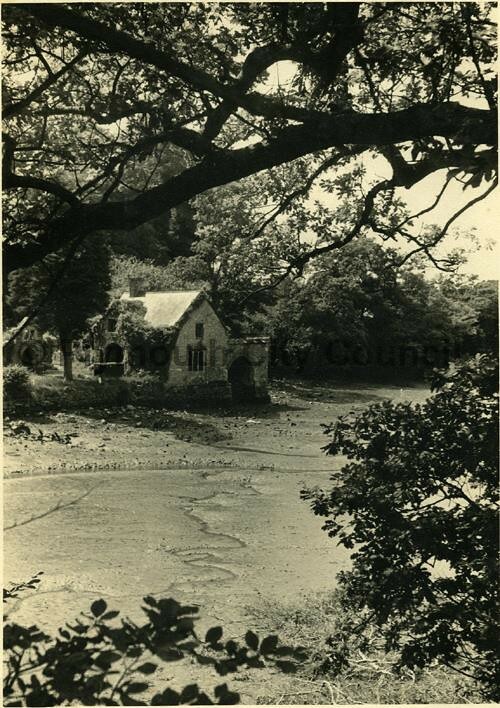 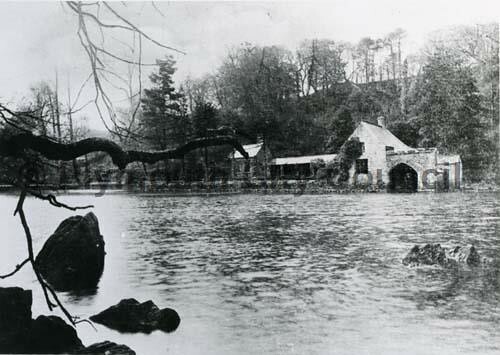 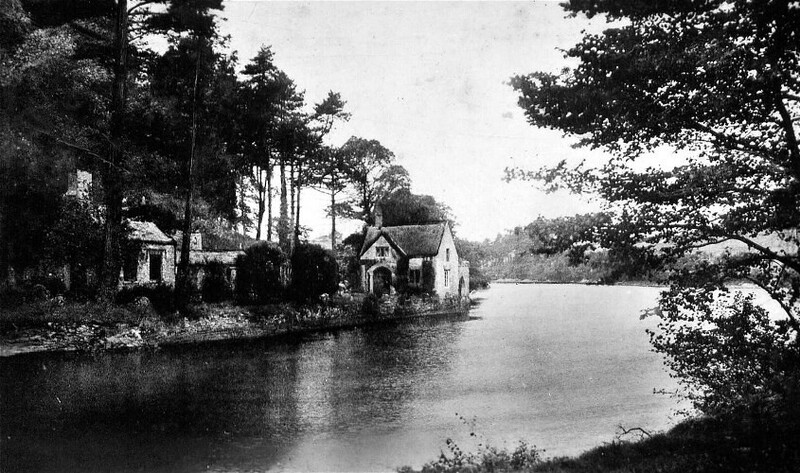 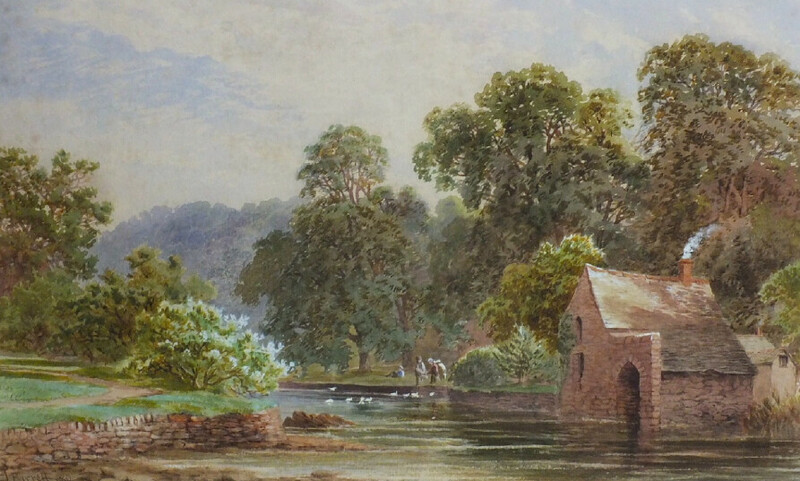 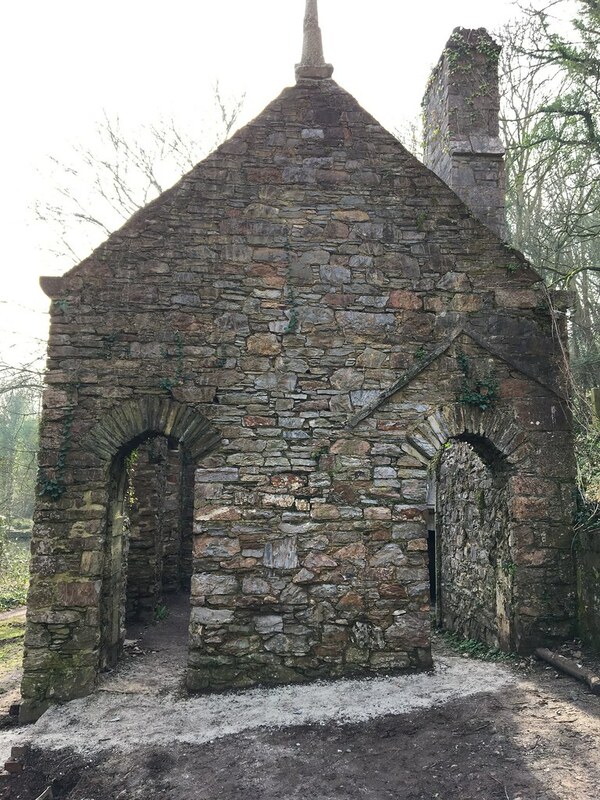 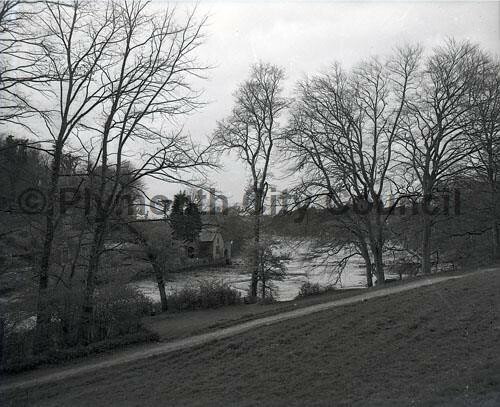 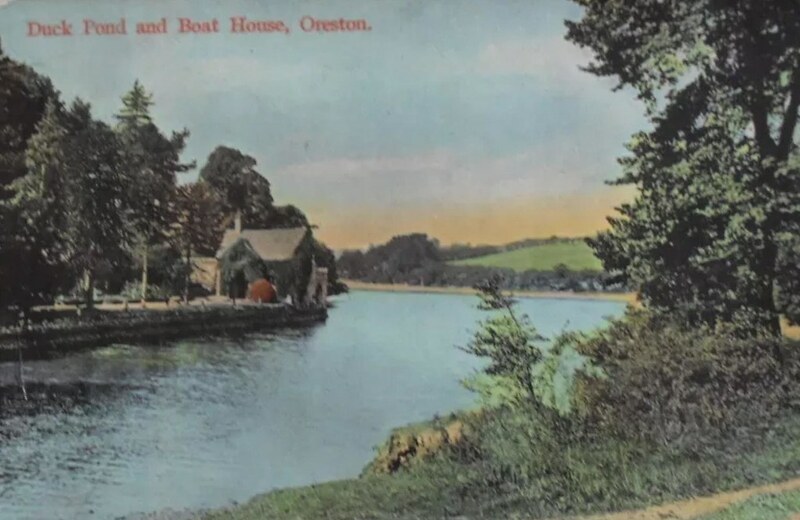 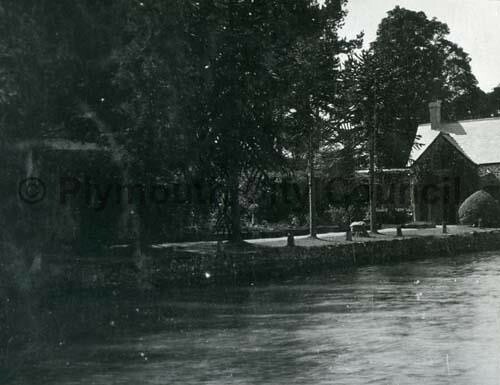 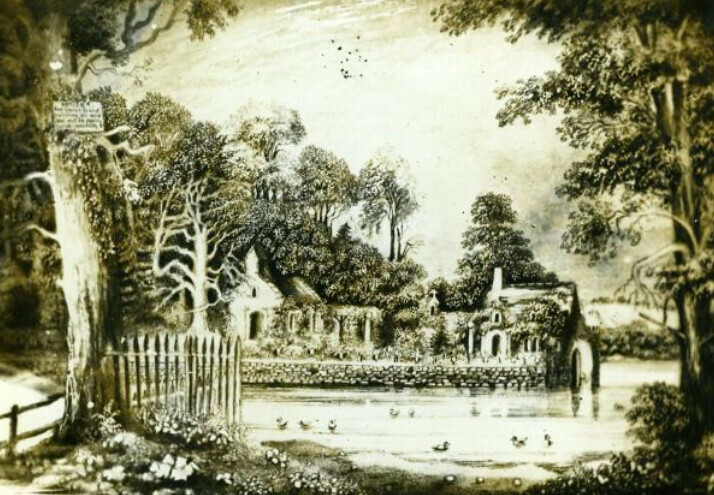 The boathouse and the armoury were constructed to enhance the appearance of the area and also to provide adequate accommodation for the estate workers. 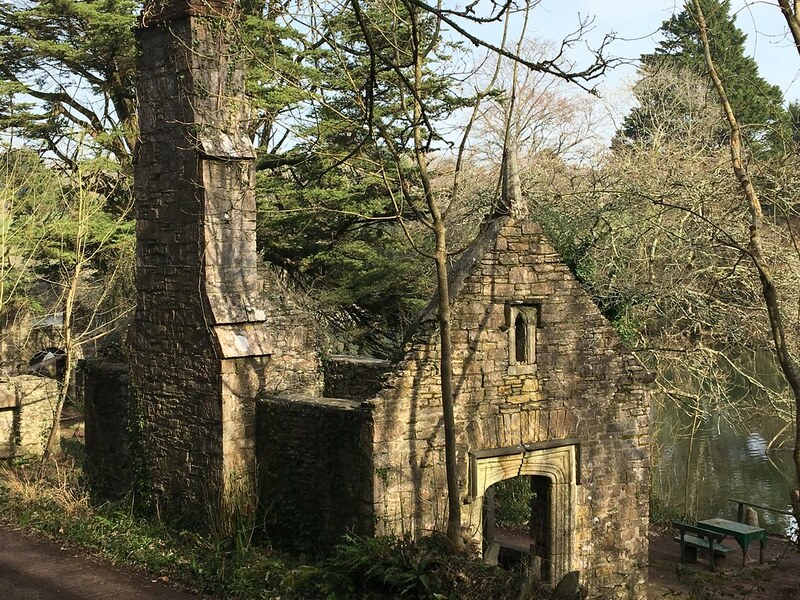 Both buildings incorporate some genuine pieces from the old house of Radford. 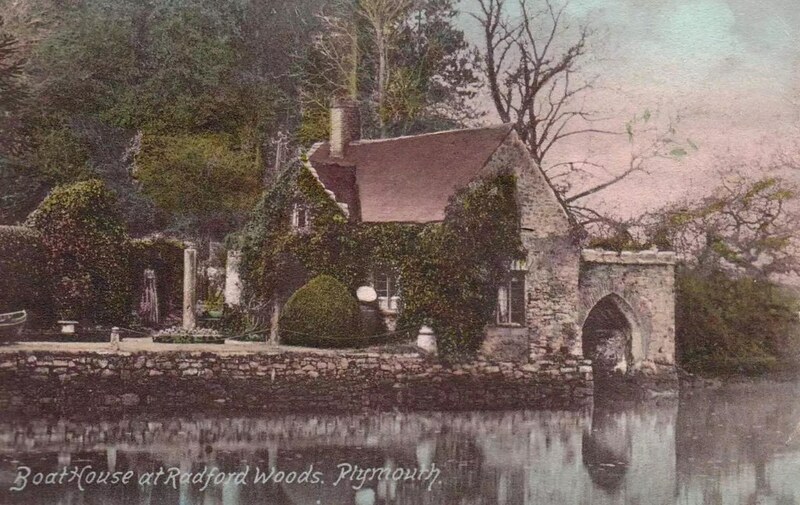 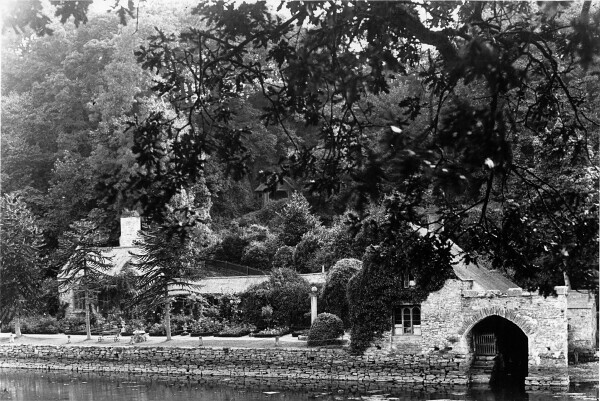 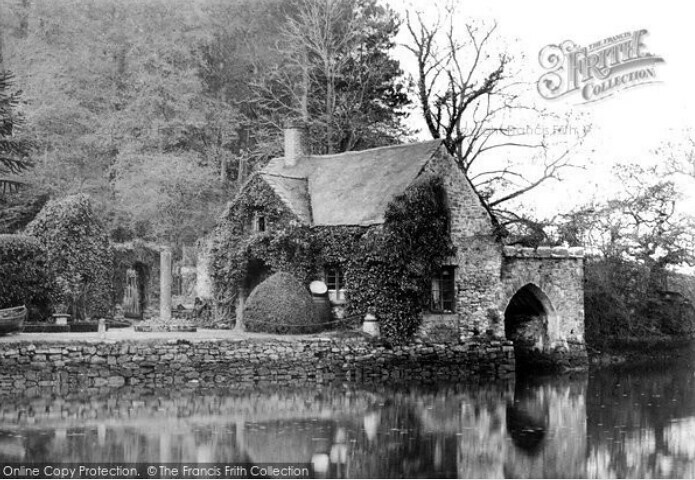 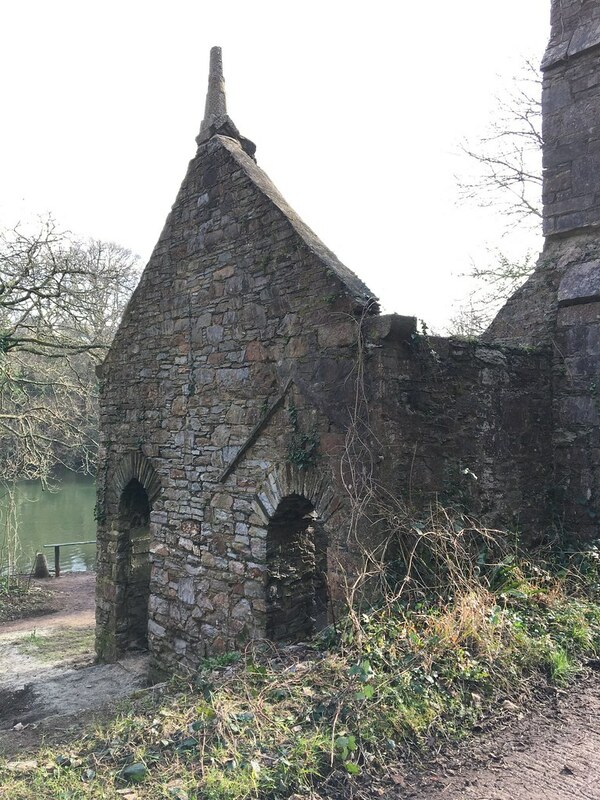 The boathouse contains the facade of a 16th century house with well moulded doorway heads and two granite pillars flanking the entrance door. 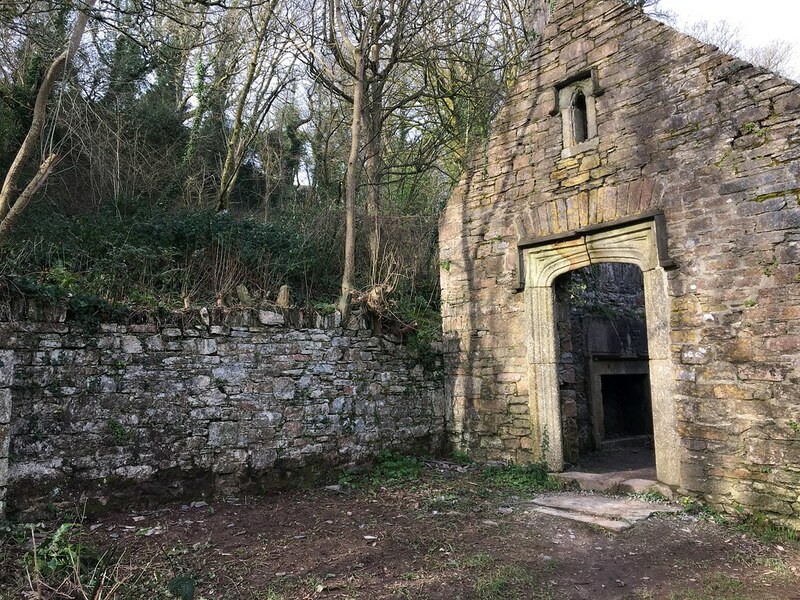 The armoury has a granite front doorway reputed to be the original front door of Radford although this seems too small for such an important House. 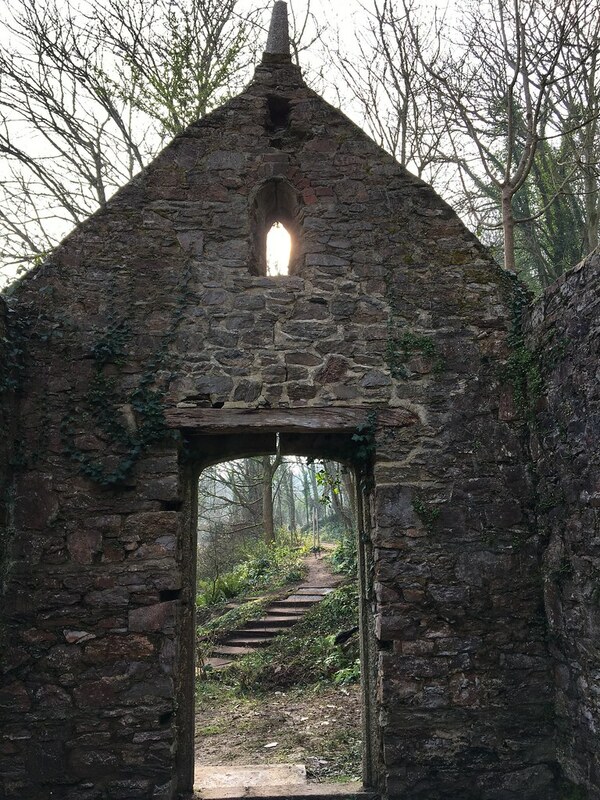 It would be nice to know for sure. 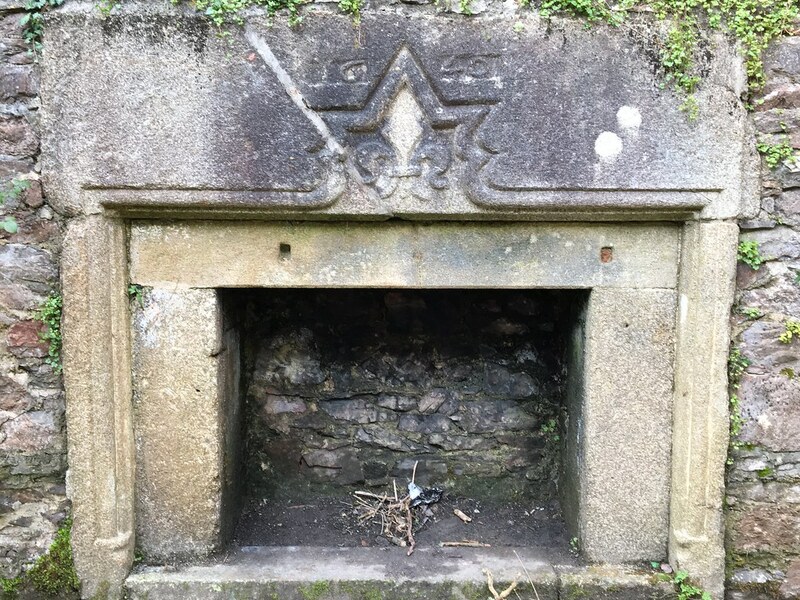 A fireplace within the armoury is made of granite and carried a fleur-de-lys motif and the date 1640 – certainly coming from Radford House. 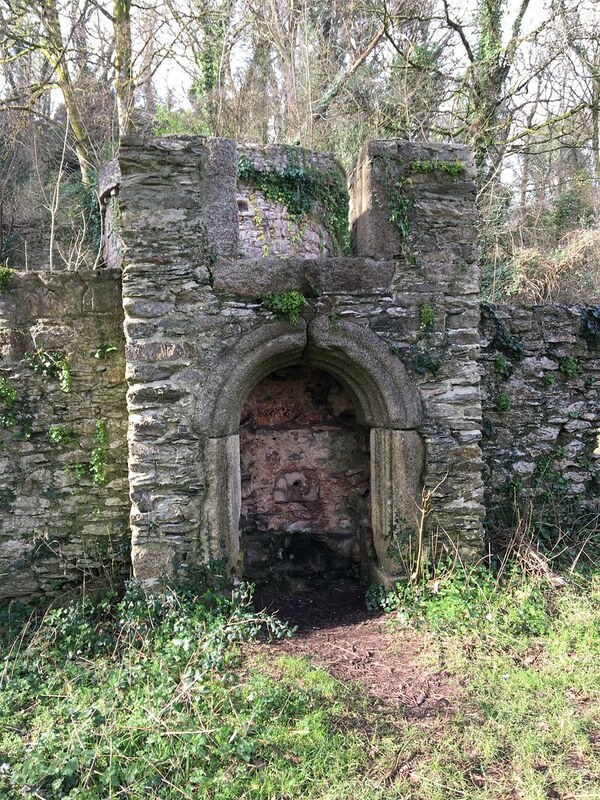 A further ruin stands close by to St. Kevernes which is a limekiln built to look like a castle. 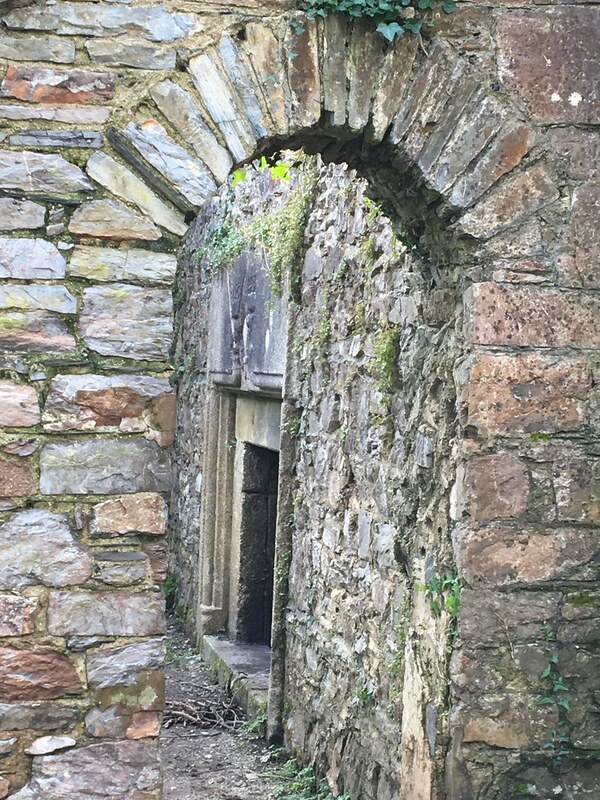 It also contains some granite pig troughs and parts of a cheese or apple press forms the door lintel. 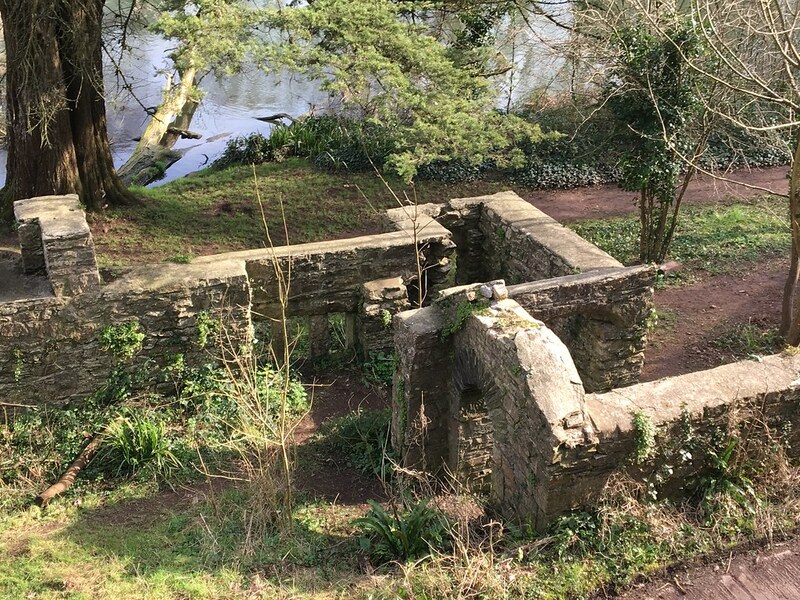 Another press lies in the ground by the boathouse. 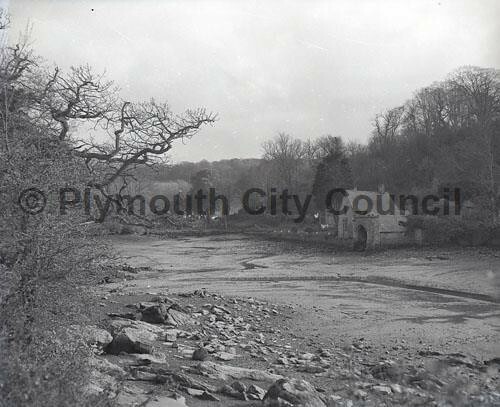 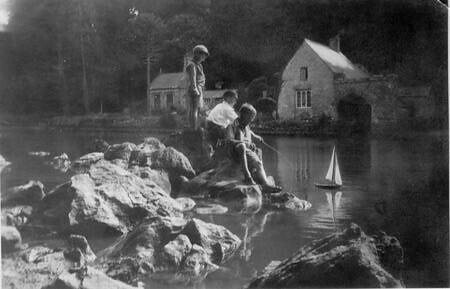 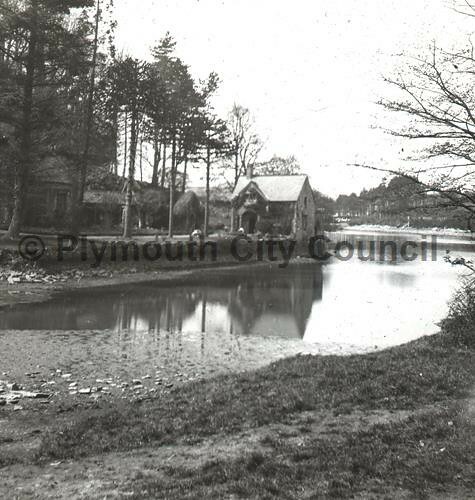 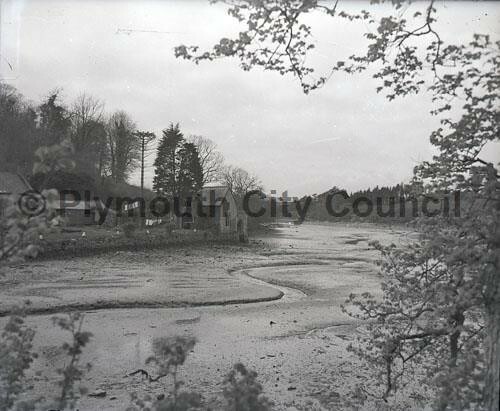 There can be little doubt that this spot was the quay to Radford before the houses were built. 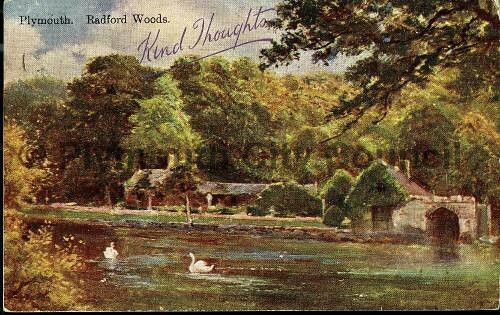 It is well recorded that many dignitaries visited Radford including Drake and they would all have landed here with quick access to the mansion. 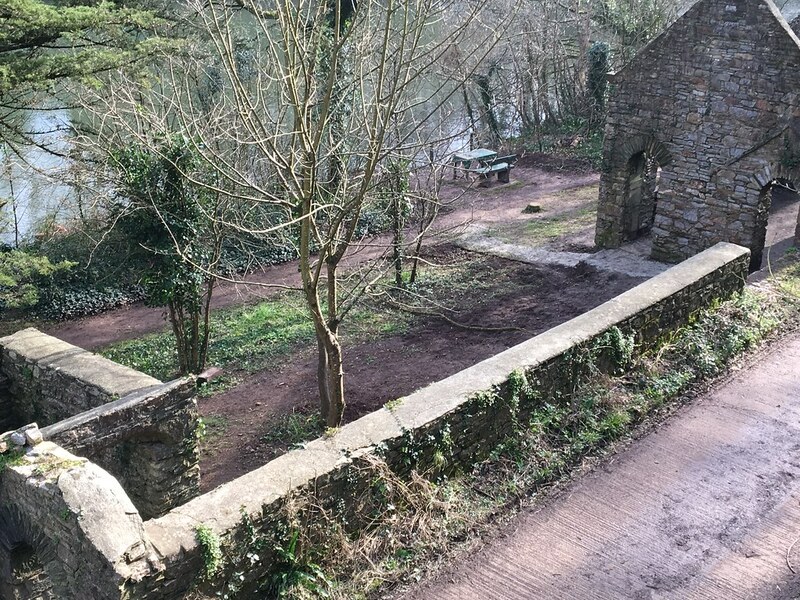 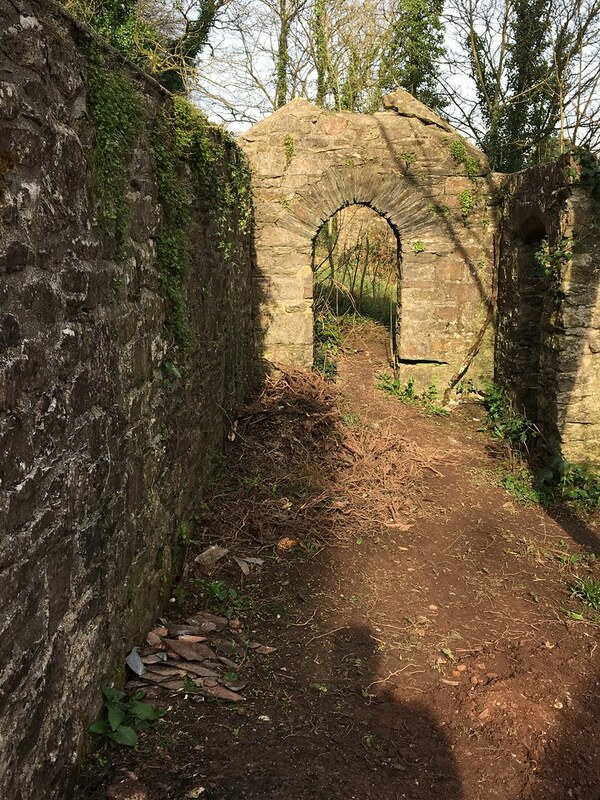 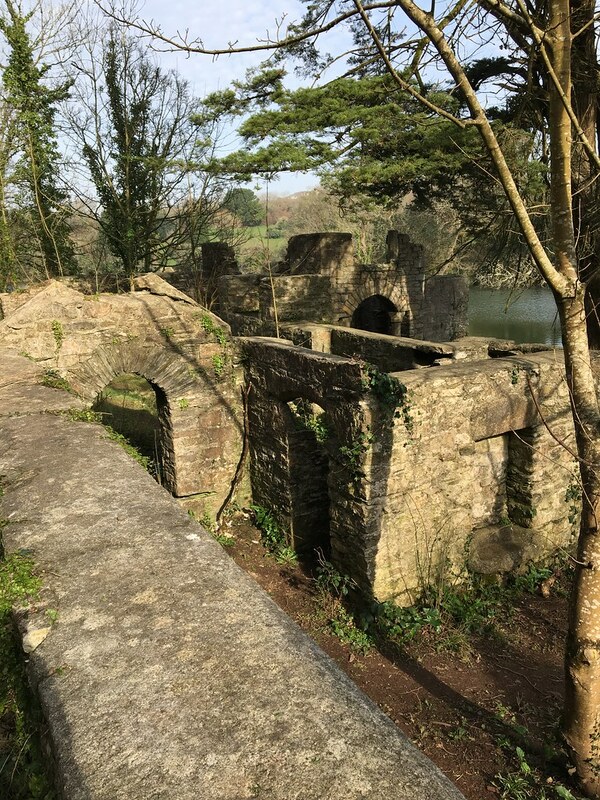 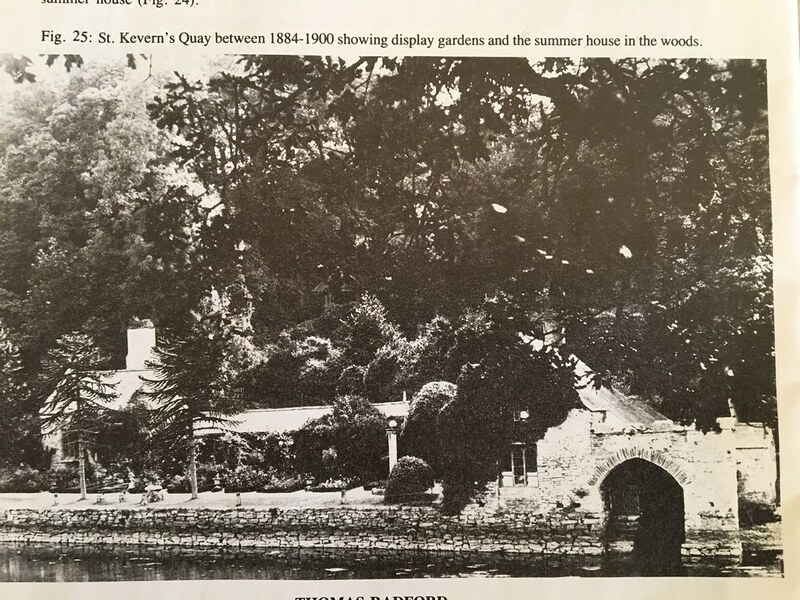 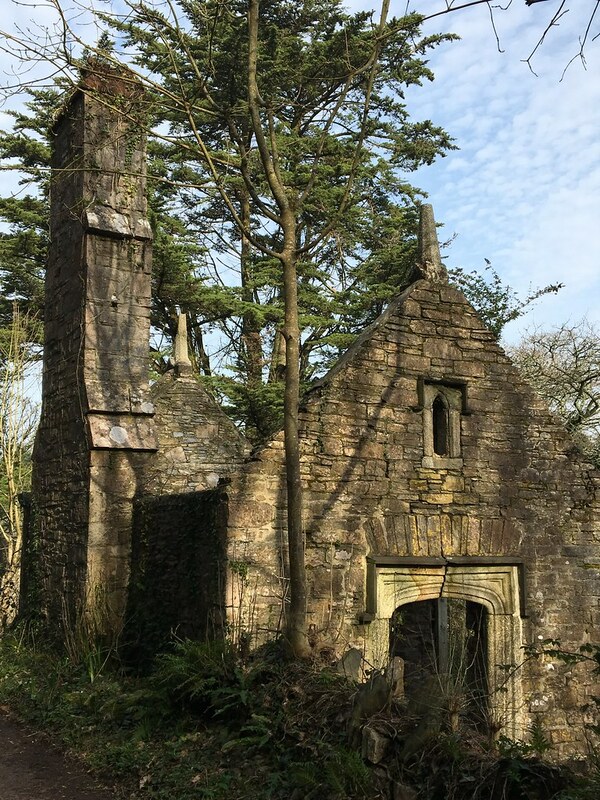 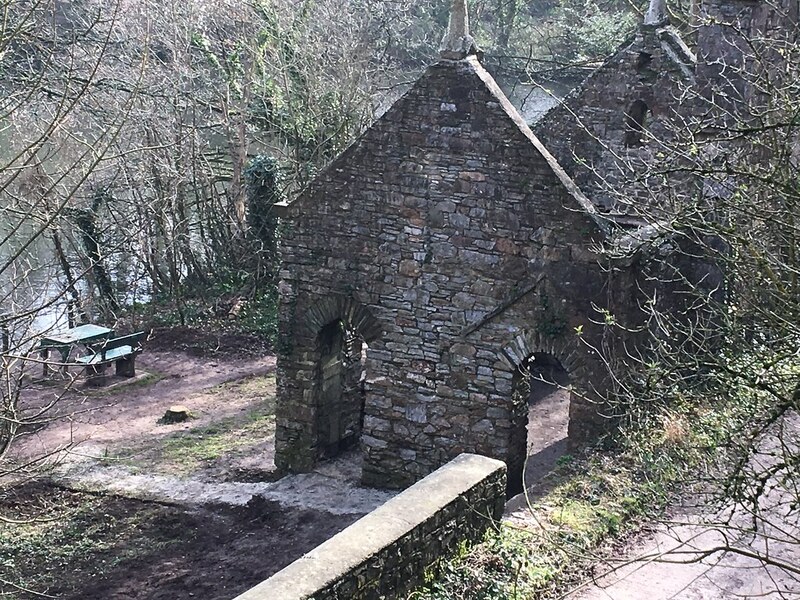 In the woods above the quay a quarried area exists which once contained a terraced walk and wooden summer house.